Updated 04.01.2019: In my opinion, a hike is a hike, no matter the exertion level. Some of us are up for hiking the Grand Canyon rim to rim—uh, that would not be me—while others (probably the majority of boomers) are looking for an active travel experience that will take us outside and into the wonders of nature without killing ourselves or causing a heart attack. 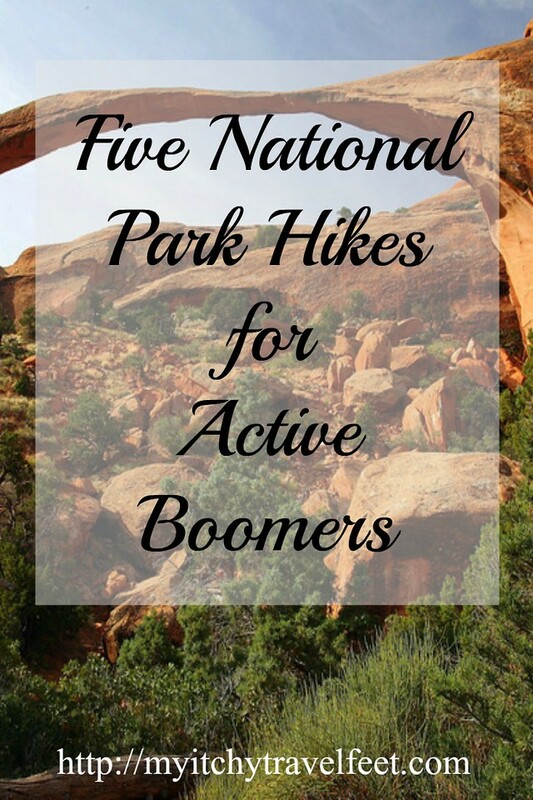 So, from easy to moderately difficult here are five of my favorite National Park hikes. 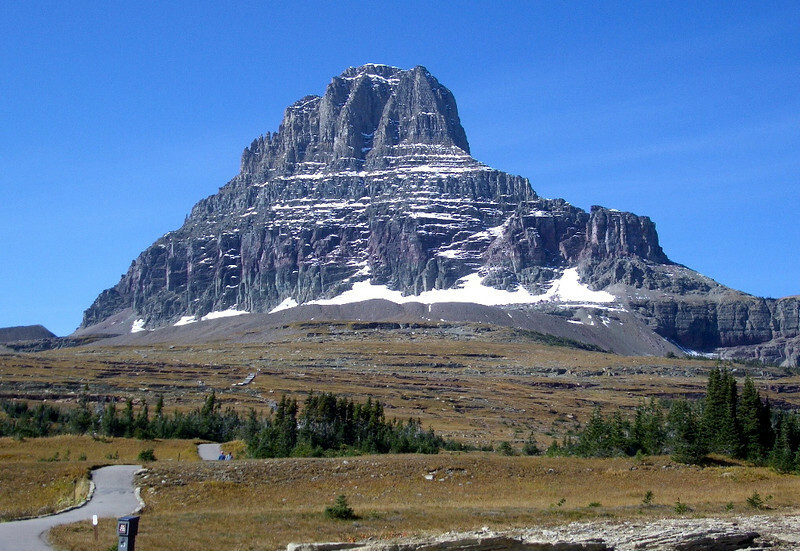 The best National Park hikes come with a walloping view like this hike in Glacier National Park, Montana. The 3-mile-round-trip trail to Hidden Lake Overlook is very doable, even for the out-of-shape boomer. It begins behind the Logan’s Pass Visitor’s Center where a boardwalk protects the fragile tundra before the trail turns to dirt. You’ll hike beside a tundra that’s filled with wildflowers in the summer. While making the slightly uphill trek, be on the lookout for mountain goats, hoary marmots, long-tailed weasels and bighorn sheep. Arches National Park near Moab, Utah, offers several easy hikes, usually within sight of the many sandstone arches that give the park its name. One of the most rewarding is a hike that begins at Devil’s Garden Trailhead. 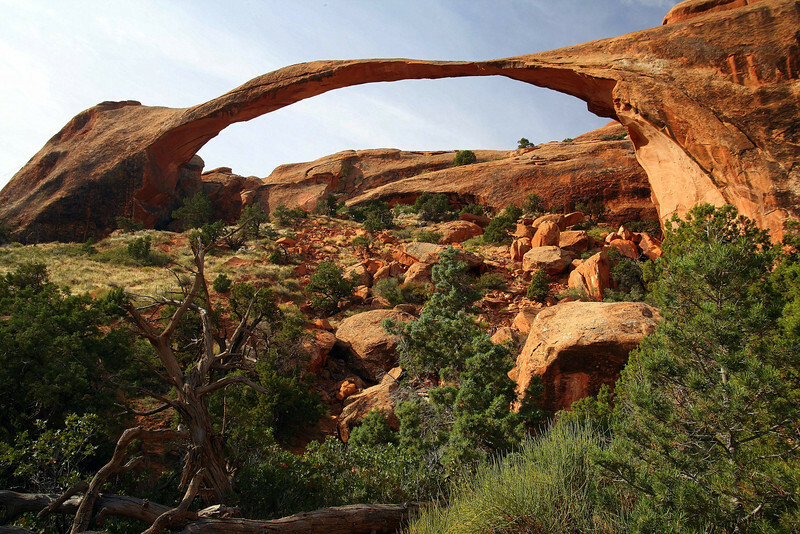 The 2-mile round trip walk on a gravel-surfaced trail leads to Landscape Arch. At 306 ft., it’s the park’s longest arch and the second longest sandstone arch in the world. Be sure to take the short side trips to Tunnel and Pine Tree Arches. National Monuments are part of the U.S. National Park System so this hike 42 miles from Grants, New Mexico counts in my National Parks favorites. 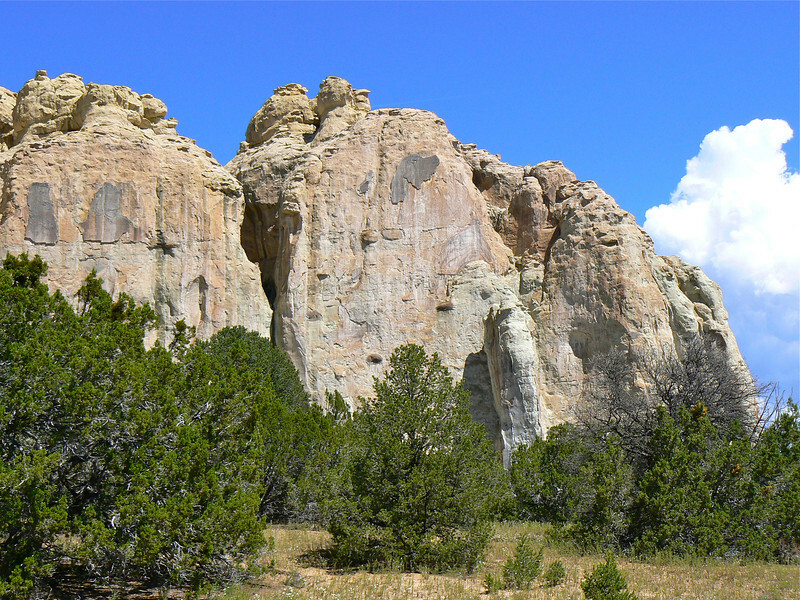 The path at El Morro National Monument is flat as visitors walk on the trail that skirts the base of a sandstone cliff where explorers etched messages into the rock. The two-mile-round-trip Mesa Rock Trail continues up a stone staircase onto a mesa where you’ll see remnants of an Anasazi pueblo. It’s a 200 ft. climb to the top so be sure to bring a supply of water, especially during the summer. 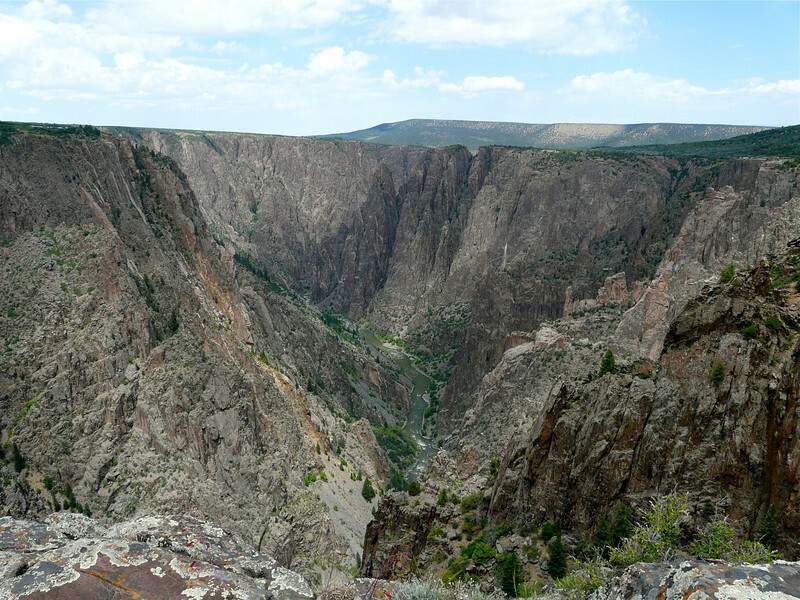 When Alan and I visited the North Rim of the Black Canyon of the Gunnison near Crawford, Colorado, we asked a ranger to recommend a trail for us. After hiking the 5-mile-round-trip Deadhorse Trail, we appreciated his selection. We hiked through high desert vegetation decorated with summer wildflowers on a trail that followed rolling terrain to the canyon’s edge where we could hear the roar from the Gunnison River as it rushed through the gorge. Would you like to photograph an outstanding sunset? 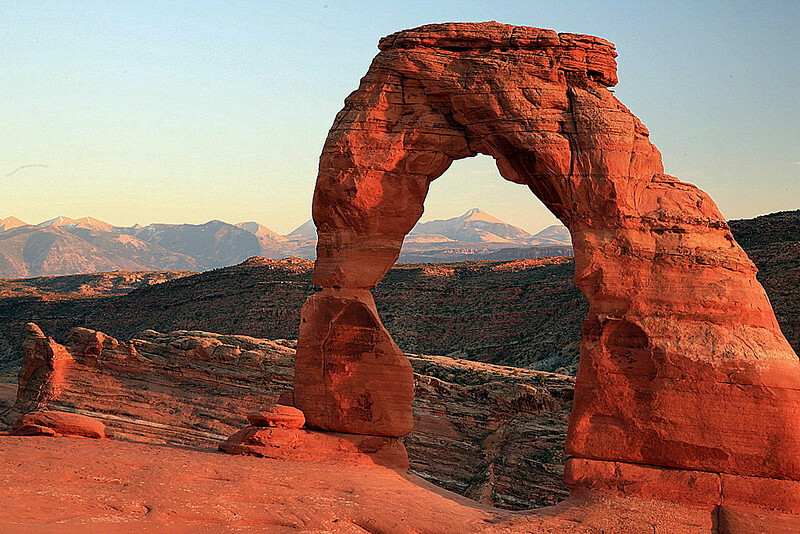 The hike to Delicate Arch is another Arches National Park favorite. The 3-mile-round-trip journey across slick rock only climbs 480 feet, but there is one section that travels along a rocky ledge for about 200 yards, so beware if you have an issue with heights. You’ll also want to bring a flashlight for the dark trek back down the trail. After all, the best sunset shots happen immediately after the sun sinks below the horizon. Of course I’ve only scratched the surface for National Parks hikes. Do you have a favorite hike? Join the conversation at the My Itchy Travel Feet page on Facebook or send us an email to ask a question or share your experience.